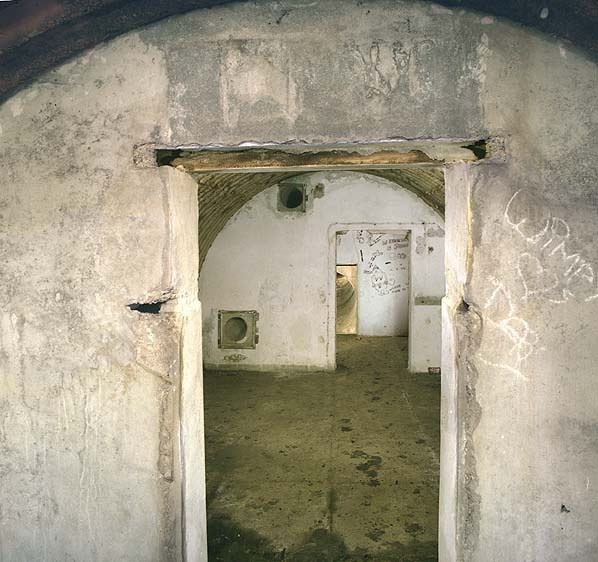 To investigate an underground structure because of both it’s historical interest and potential for paranormal activity. The Special Duties Organisation, branch of the Auxiliary Units, was formed during WWII to co-ordinate radio communications and spying in the event of German invasion. The section's personnel consisted of spies and out-station radio operators and the people who would operate the zero stations. Spies would have been recruited from the general public, these people would write intelligence reports of any German troop movements, or anything else of interest they had seen. They would then pass the information on to a radio operator. A radio operator along with his equipment was classified as an out-station and they would in turn pass this information on to their local control stations. A local control station was operated by three specially trained women of the ATS Auxiliary Unit, in an underground hideout known as a 'zero station', so-called because when the station's code-name was used it was always followed by the code suffix 'zero'. The purpose of a zero station was to receive coded information from the many out-stations in the surrounding area, passing on the details via a direct phone line to the Special Duties headquarters at Hannington Hall, Wiltshire. The Zero station is identical in design to others in the south. Built on a solid concrete base with corrugated iron arched across to form its roof, the hideout resembles, an underground Nissan hut. The station is quite shallow but is still in excellent condition. 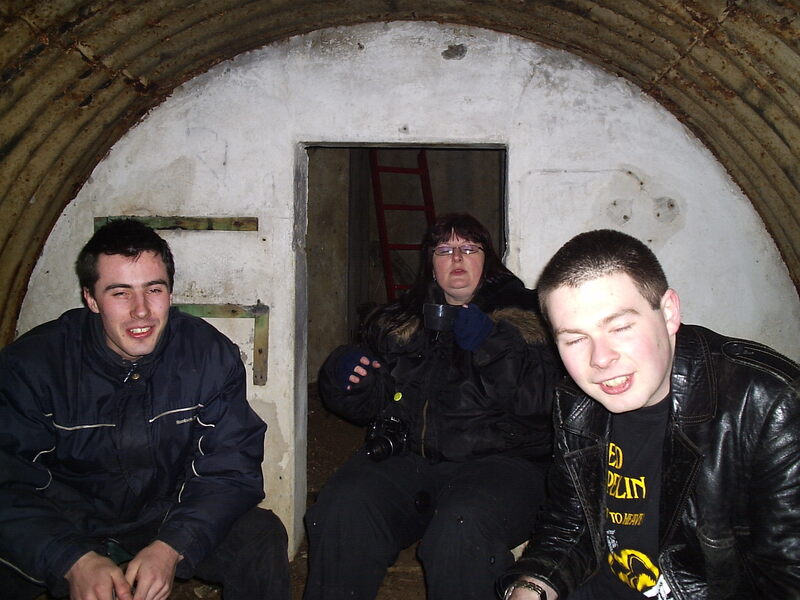 There are no reports of this bunker having ever been investigated from a paranormal point of view, although some of our group had been there to confirm its location prior to this visit. That preview proved eventful as they had reported odd movement around the bunker entrance and surrounding wooded area, so we had decided to visit firstly because of the historical importance and secondly because of these events. Ian, Kim, Paddy, Dave, Sarah, Keith and Rachel. 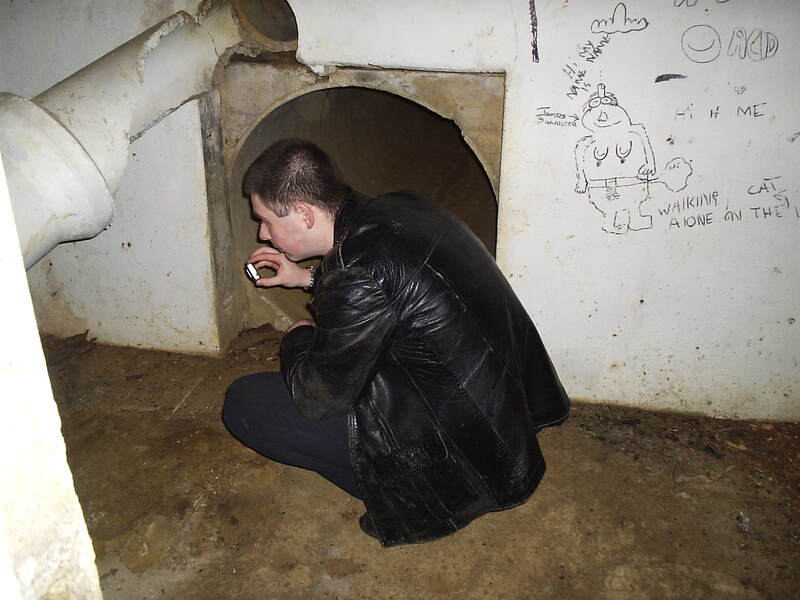 Visual investigation of the underground bunker and the ground level of the surrounding area, plus silent vigil within the bunker with the usual equipment. For this evening Ghostconnections turned it’s hand to a bit of urban exploration! This was mainly to look at this old piece of wartime architecture before we moved off to another venue that night, but we thought we’d try a brief piece of paranormal investigation while we were there. 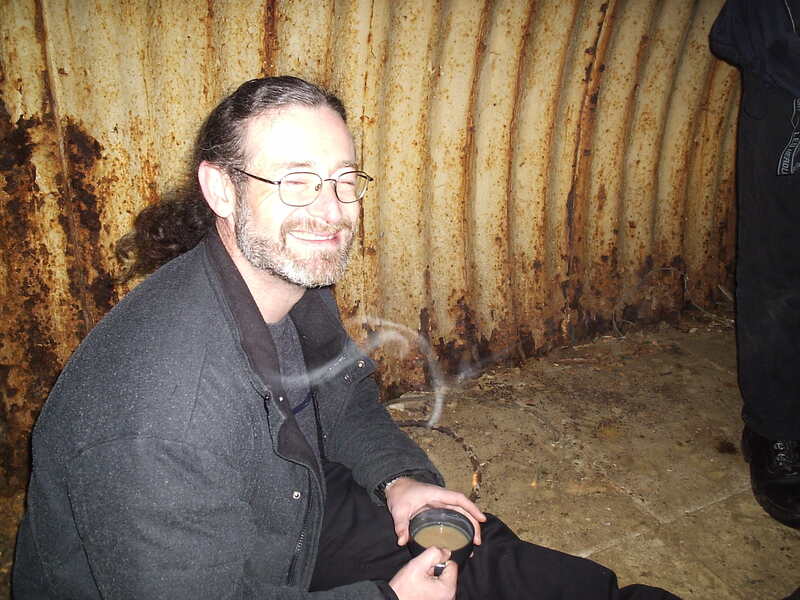 The some of us had to find a little courage to do this because of the large amount of very large cave spiders that lived there, but once in it was not so bad and the bunker did not feel as claustrophobic as some had thought either. After and brief exploration of the three chambers and the escape tunnel we returned to the surface about 9.50pm for a further look about. There was no sign of activity either inside or outside the bunker. At 10.15pm we were joined by Keith and Rachel and after a bit more time on the surface some of us returned underground, Rachel and Sarah choosing to stay above ground. We chose to sit and hold a vigil, taking photographs in the usual way. This lasted till 10.50pm when we felt we had tried our best with this brief visit, but we really needed to be heading off to our main venue for the evening. We left the bunker, collected our belongings and returned to the cars leaving the site about 10.50pm. No pictures or video footage suggested anything out of the ordinary.